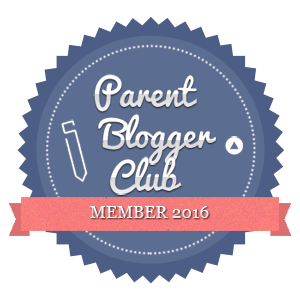 In honour of Cafe Bebe’s 500th blog post, and her photo which represents beginnings, I thought I’d use this one which is from the beginning of mine and Husbands’ relationship. 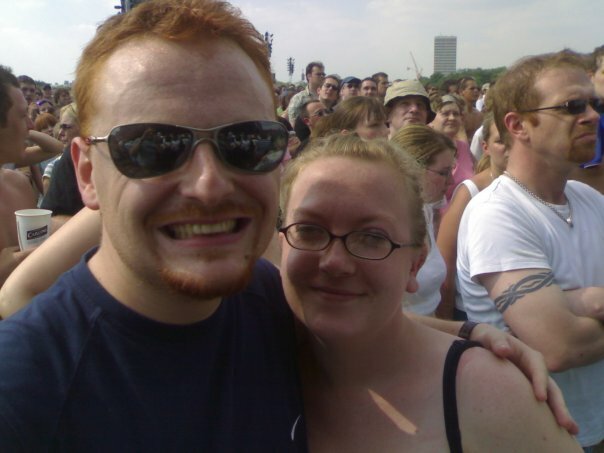 This photo was taken on 17th June 2006, the day before my 22nd birthday when Husband and I went to London to watch our favorite band, Foo Fighters, play a massive concert in Hyde Park. We had an amazing day, and when they played Everlong at the end, I thought my heart was going to explode. I still think back to that day with such fond memories, and love the fact that Husband and I are still together, despite all the naysayers who said we rushed into things. We’d been together about 4 months at this point and were already engaged! Look how young and carefree we look in this picture?! 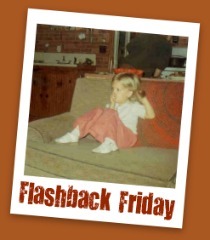 You can pop over to Cafe Bebe to see all of the other Flashback Friday entries too. 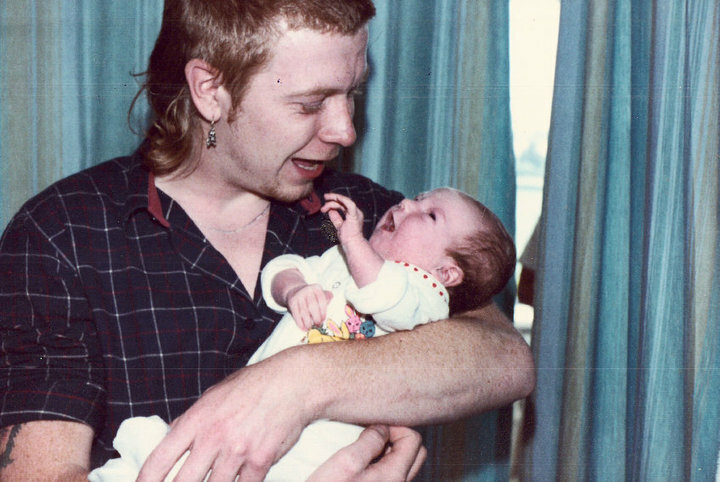 For my first Flashback Friday I used a picture of my Mum and I, when I was a baby, so I thought it only right that I use a picture of me and my Dad for the next one. This picture means a lot to me, and has made me think about things differently in the last few months. I hadn’t seen it before, until my Dad got his photo albums out a while ago, and this one really stood out to me. You see, me and my Dad have had a difficult relationship at times. He wasn’t always there when he should have been, thought that has completely changed now, he’s a brilliant Grandad to Sausage and he’s really helped me out in some times of crisis, so for that I’m grateful. Anyway, when I was a kid and didn’t see him very often and I used to question whether he loved me or not. Then I saw this picture and saw the look in his eyes, and all questions were answered. I’ve seen Husband look at Sausage that same way, and that’s all I need to know. Let's not mention the mullet and skull earring though, eh?! About a year ago, after much nagging and reminding, my Dad finally brought his photo album round for me to look at. When he and my Mum separated, he kept all of the photos of me, so I hadn’t seen many of them for over 20 years! One particular one stands out to me, a snap of me and my Mum, I can’t have been more than 6 months old, but the picture just sums up my childhood so perfectly! 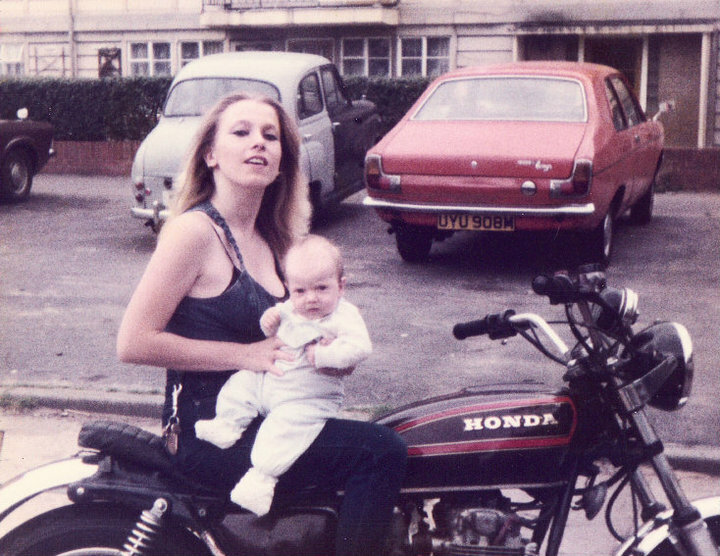 Yep, that’s little old me, sitting on my Mum’s lap while she poses on a motorbike! Motorbikes played quite a big part of my childhood, one of my earliest memories is of watching my Dad working on his motorbike in our garage, I remember the smell of engine oil, the Swarfega to get the grease off of his hands. When my Mum remarried, my stepdad (whom I also call Dad, long story) was also a lover of all things two-wheeled (though this makes my Mum sound like a motorbike groupie..which I can assure you she is not!) and I’d be taken to drag racing weekends and meets like The Bulldog Bash, where we’d spend all weekend camping, surrounded by Hell’s Angels, listening to Led Zeppelin and Lynyrd Skynyrd, and soaking up the atmosphere and the smell of burning rubber. And yes, I do remember seeing wet t-shirt contests! I may not have had the most…traditional…of childhoods, but I have some amazing memories, and I like to think that it all played a part in making me the person I am today. I saw and heard things that other kids had no idea about, and far from turning me into a wildchild, just gave me the street-smarts that other kids seemed to lack. All I know is, I wouldn’t change it for the world.